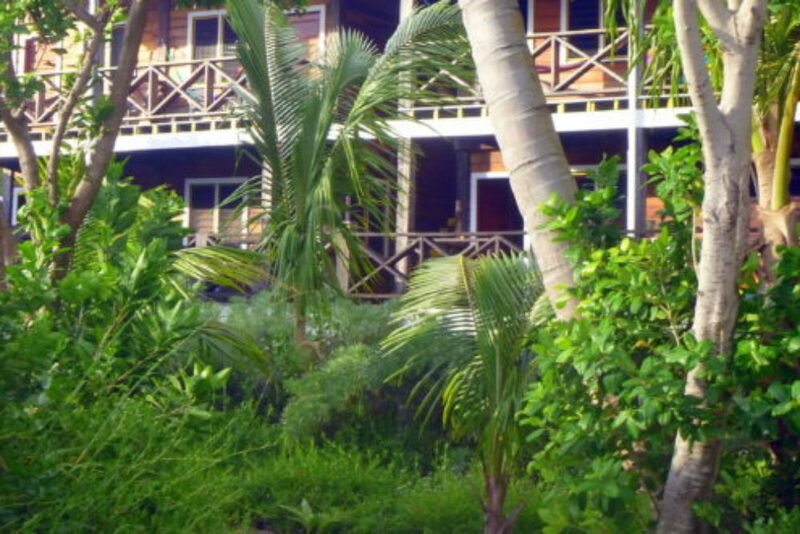 We are the only Resort on Long Caye located directly on the beach. Most rooms have private baths and oceanfront balconies – accommodating singles, couples and even families. We also have lower-prices rooms with shared baths. All the rooms are right on the beach, which offers a great view of Half Moon Caye (a UNESCO World Heritage Site) and great sand-bottom swimming. Beach level family rooms allow for the easiest beach access. They each have two queen beds, private bathroom, ceiling fans, standing fan, and an ocean view deck with hammock and chairs. This room can accommodate up to 4 adults when sharing beds, or it can accommodate a family up to 5. A cot may be requested for a child in the room.